This season, the Washington Generals have a new secret weapon--the masked player, Cager. 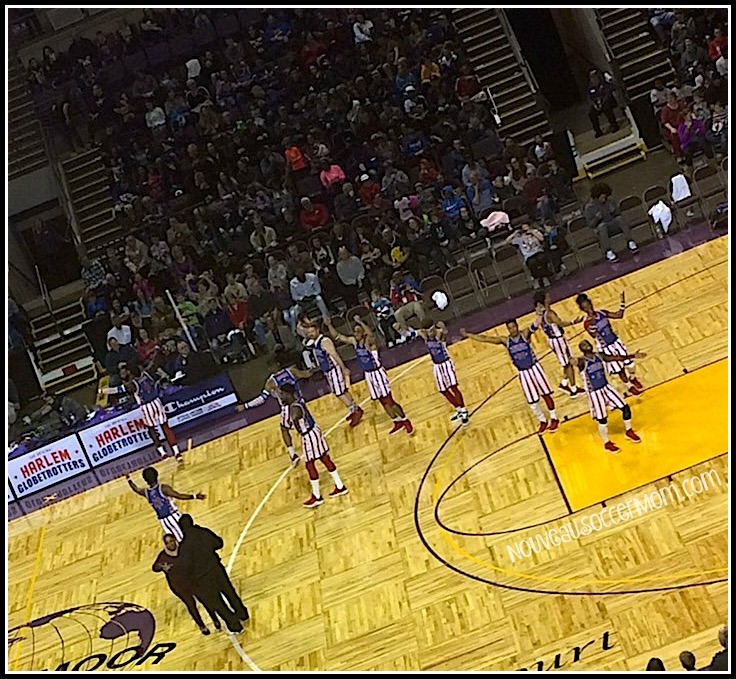 Towering near 7-feet-tall, the Generals are hoping he will help them finally beat the Globetrotters. 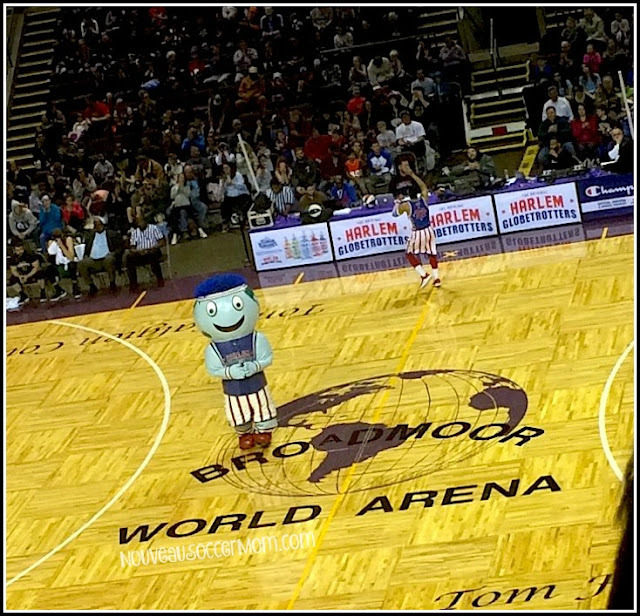 Taking him on, the Globetrotters are featuring their female player and Colorado Springs native, TNT! Will she and the Globetrotters manage to beat the Generals? Or will the Generals resort to cheating and trickery in order to score an upset victory? With trick shots, 4 pointers, fancy dribbling skills, and more, it seems like the Globetrotters are ready to win, but one never knows what devious plans the Generals may have each season. The kids (two girls, two boys, all 16 and 17) loved the show. They all had a great time together, and there were plenty of laughs at the show. As a parent, I love knowing that it is a family-friendly environment for them to enjoy, as well. We've enjoyed it with young children and tweens, so it was great to see that the appeal is still there for our teenagers. 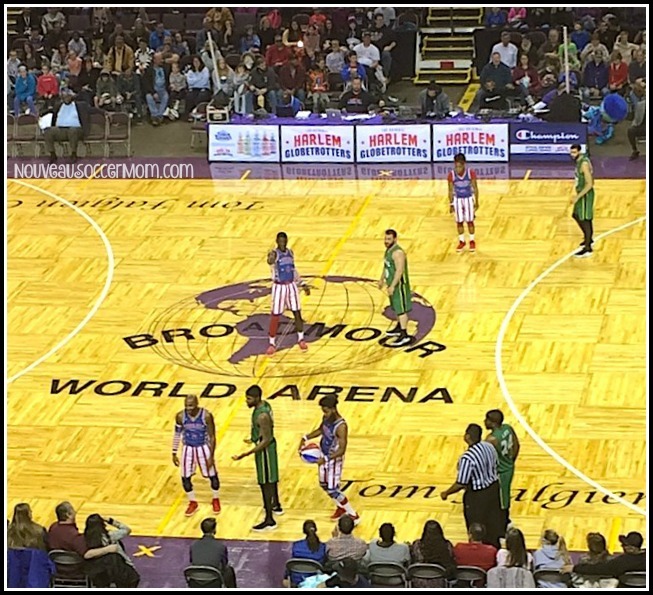 The Harlem Globetrotters Fan Powered World Tour is going on all this year. Check their website for more details and tickets. Use promo code FUNFAM to save 25% on your seats.